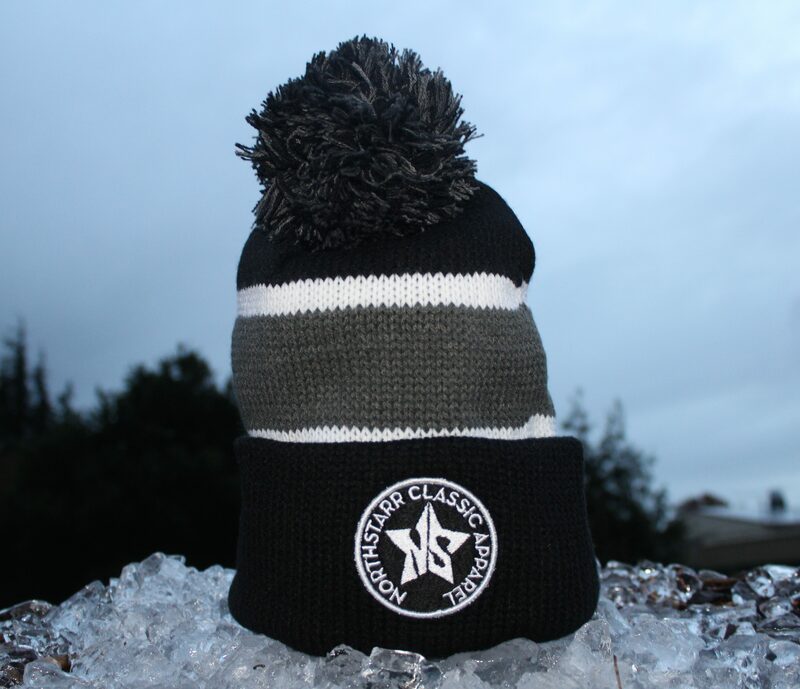 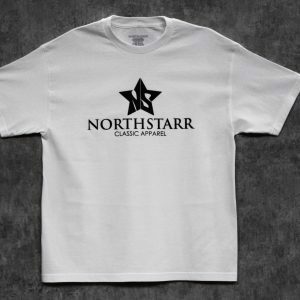 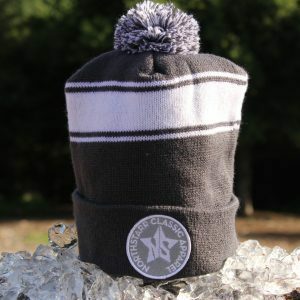 This NorthStarr Classic Apparel Beanie is white, gray, and black with a white and black logo. The pom pom is 8 1/2 inches wide and a 11 1/2 inches wide. This hat also have a 3/12 in cuff. 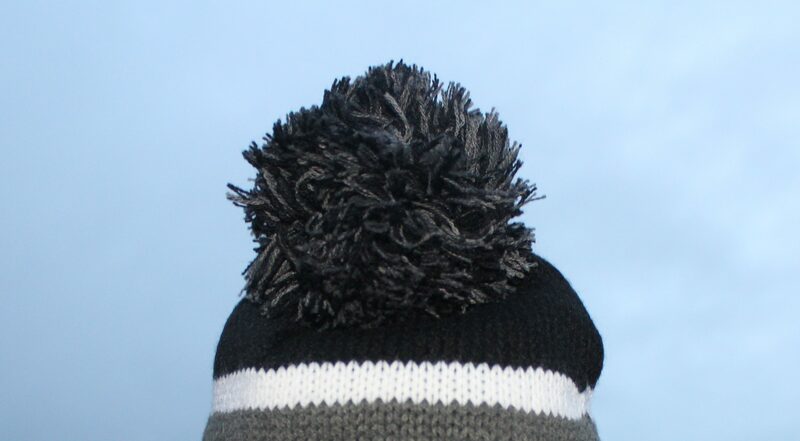 This beanie has a lot of head room in the top. 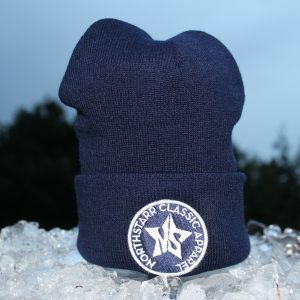 It will stretch to fit most adult head sizes.